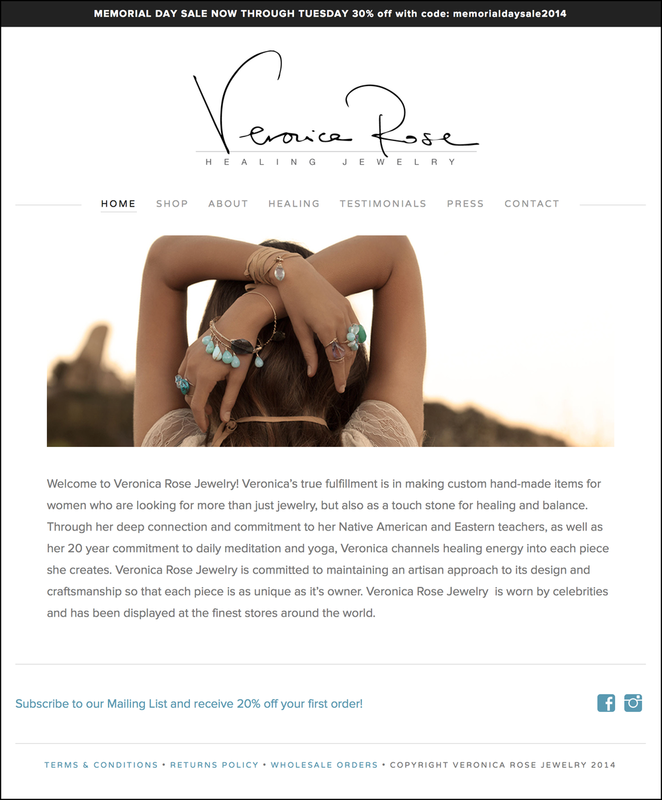 sevmedia was asked to rebrand and modernize an existing web site for an artisanal jeweler who specializes in hand-made items for women who are looking for jewelry that helps with healing and balance. 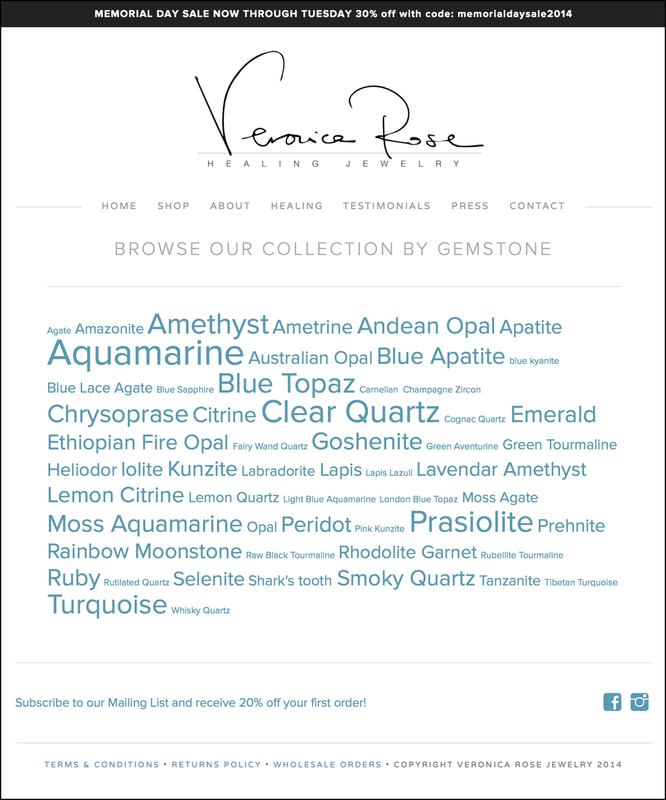 Veronica enhances the potent healing qualities of the gemstones and crystals to meet then needs of her clients and so sevmedia worked closely with the her to design custom forms and educational elements to facilitate the ordering process. Developed a new inventory and shipping tracking scheme. 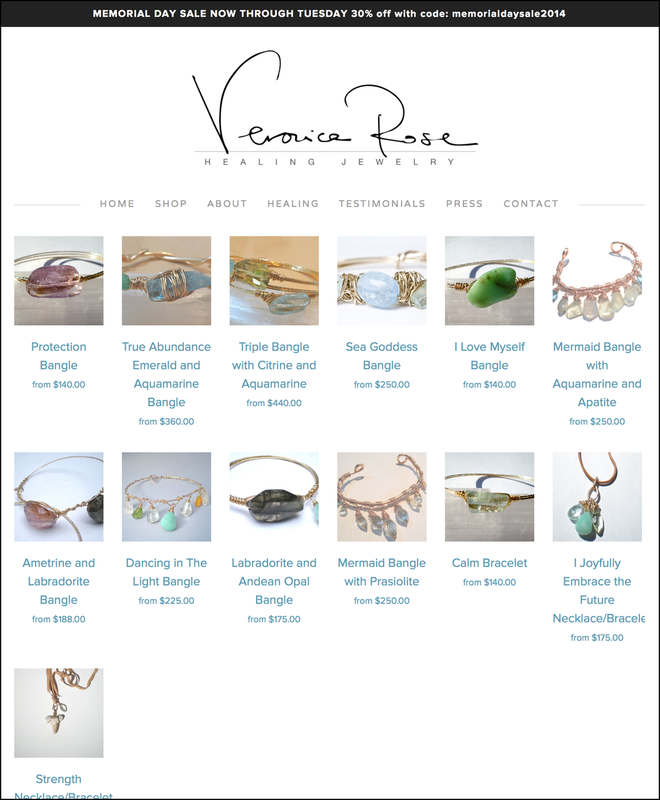 Set up Veronica with a more robust mailing list service. Trained Veronica in the maintenance and upkeep of her site.